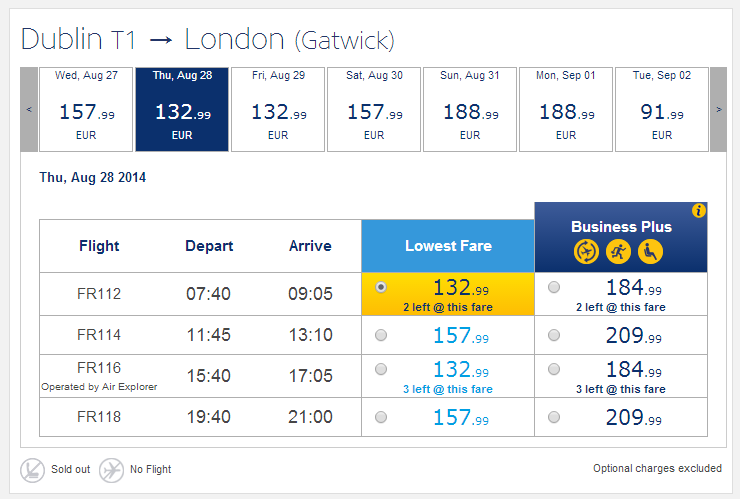 Ryanair just announced a brand new tariff already available at their website: Business Plus. This is the latest attempt of previously announced effort to attract more business passengers onboard Ryanair flights. The new new tariff Business Plus is available for each flight and costs approximately from €40 to €70 per one-way flight depending on the length of the flight. Possibility to change the ticket is available on day of travel and you can change your flight to earlier/later flight on the same route or completely change the route, of course subject to seats availability. The free flight change can take up to 40 minutes before departure, which can be useful to business travelers who have to postpone their flight at last minute. This change can be done at airport check-in desk (seems quite inconvenient) or via Ryanair’s call center (luckily calls are charged at local rates). You can also change your flight/route on days before your flight, in that case you will have to pay the difference in the price of the new ticket. Route changes are permitted between the same departure and destination countries. Premium seat means you can choose for example seat in Exit row with extended leg space. Priority boarding is already well-known for Ryanair travelers, it means you will be the first to board the place. Fast-Track security service can save you lot of time as it allows you to skip lines at security check when you enter the airport. This service is however currently available only at London Stansted, Dublin, Brussels Charleroi, Milan Bergamo, Barcelona, Manchester and East Midland Liverpool airports. This new tariff is already available for all Ryanair flights and you can immediatelly see the final price you will pay for each leg. 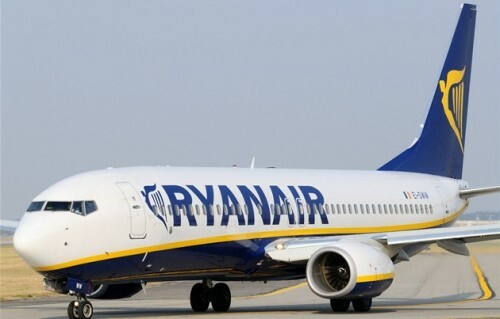 It will be interesting to see if this new strategy turns out to be effective in atrracting business customers who usually prefer classic airlines as they have more convenient flight times and access to major airports however we welcome every effort for improvement of Ryanair’s service. « MEGA HIT! Cheap flights to Brazil for only €262!